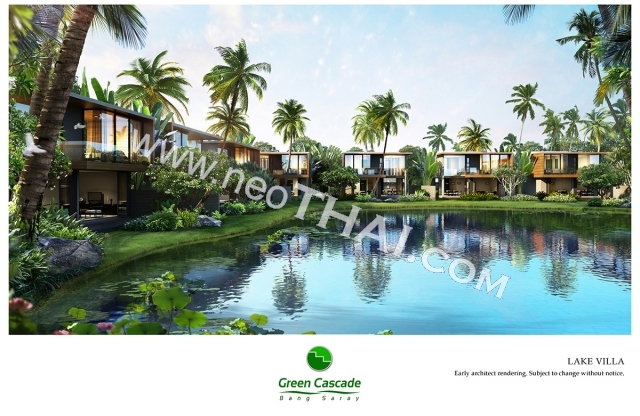 GREEN CASCADE combines the classical Thai resort with contemporary modern homes. 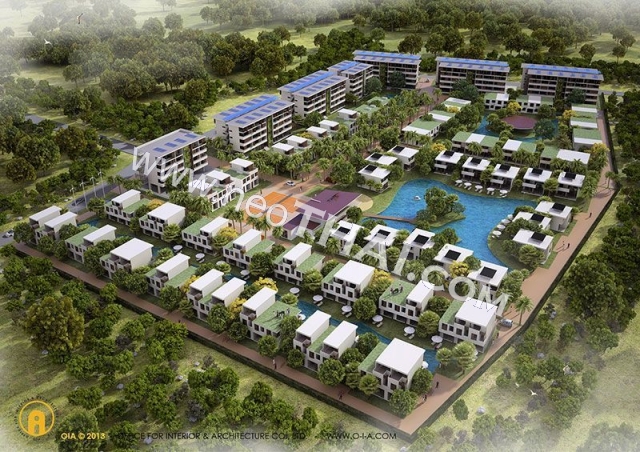 This ‘Green- Eco village’ concept of living, is embedded in a beautiful natural tropical landscape. 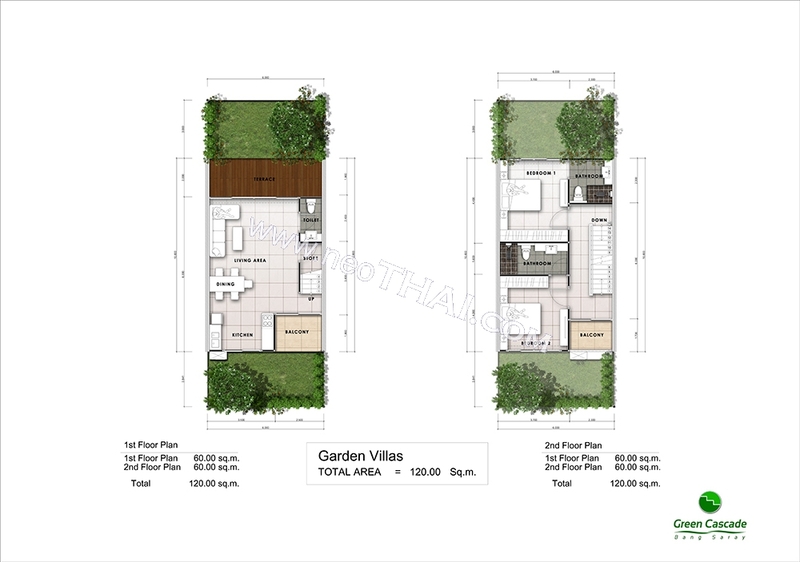 Innovative architectural design has created a community style village of modern villas houses and condos around lakes and pools. There’s no traffic within the heart of the resort, due to a perimeter road and resort style buggies that will carry your luggage to your home, making this the perfect safe environment for children and families. Bicycles for adults and children are part of the resorts amenities, as well as special bicycles lanes. No internal traffic, just green trails within the resort. 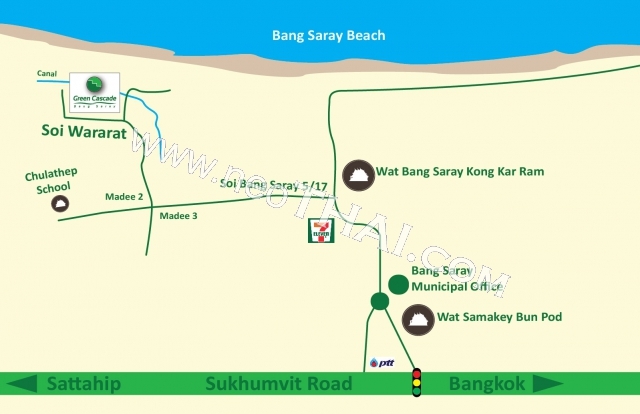 ‘Green Cascade’ is situated in the small fishing village of Bang Saray, just a 5-minute walk from beautiful beaches and the quaint culture of a Thai seaside village life. 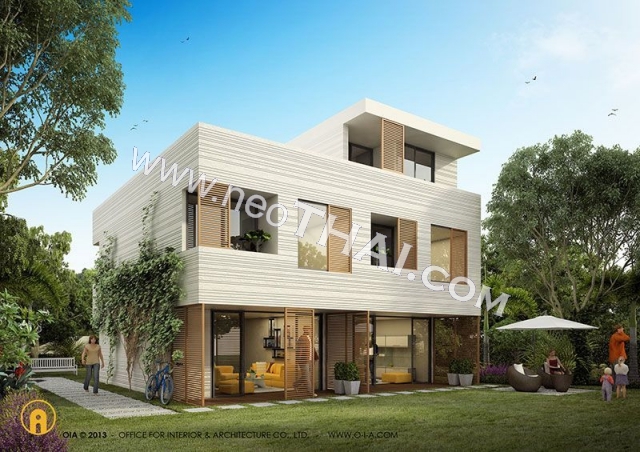 From your home you can enjoy the harmony of Thai nature all around you with the magnificent views of the lush tropical landscape, the tranquil horizon of ocean waters and mountains. 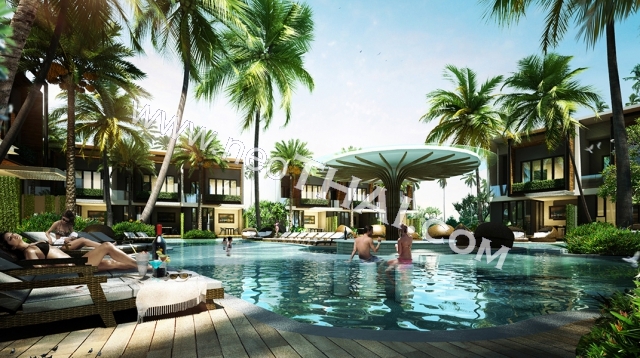 ‘Green Cascade’ has an abundance of amenities, the resort contains twelve swimming pools including a children’s pool, a lake and a fresh waterway canal along the resort. 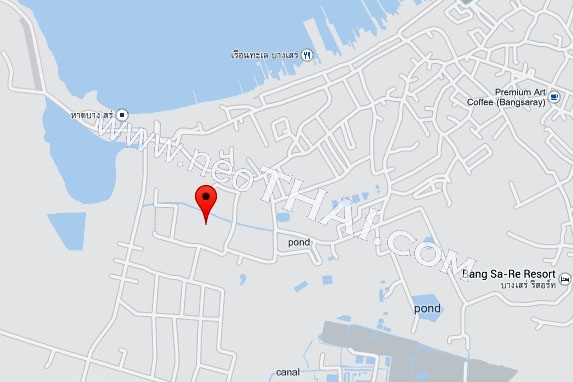 You will experience true resort perfection in your private villa or apartment, overlooking the mystical nature of Siam. 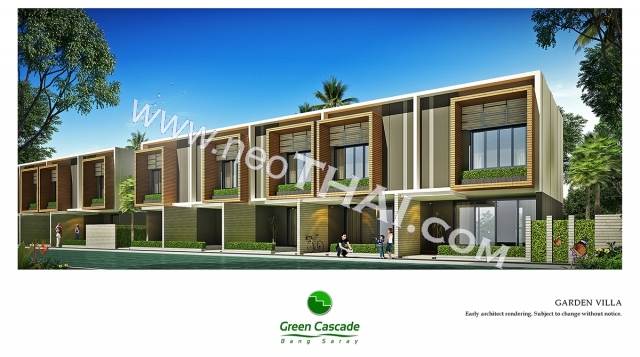 ‘Green Cascade’ has a home for you; there are a variety of different residential houses and condominium apartments in sizes to suit your needs. 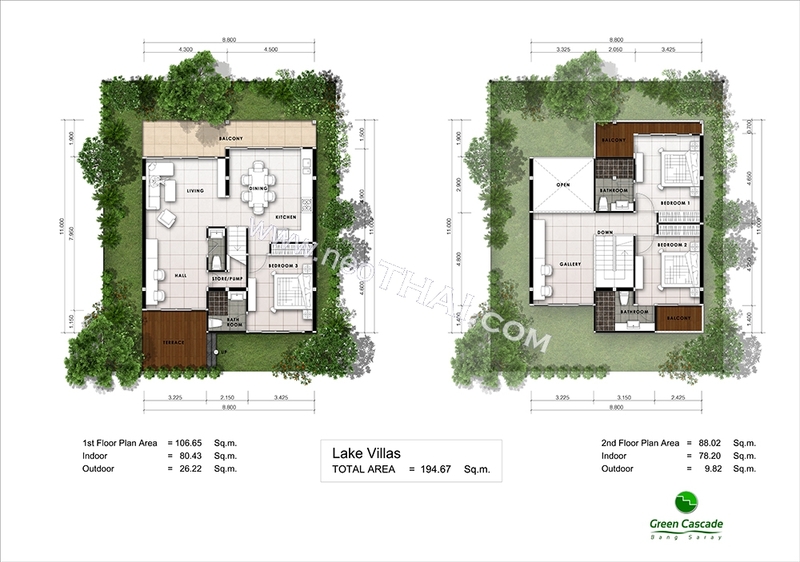 Four types of houses are set around the natural lake, the pool and garden. 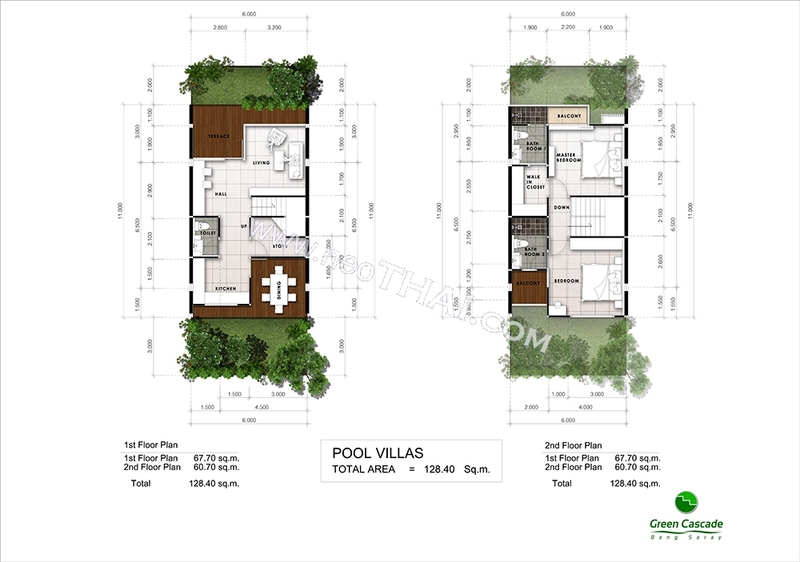 16 Lake Villas of 154 sqm, 24 Pool Villas of 126 sqm, 22 Garden Villas of 100 to 150 sqm, and 25 Town houses of 84 to 125 sqm. 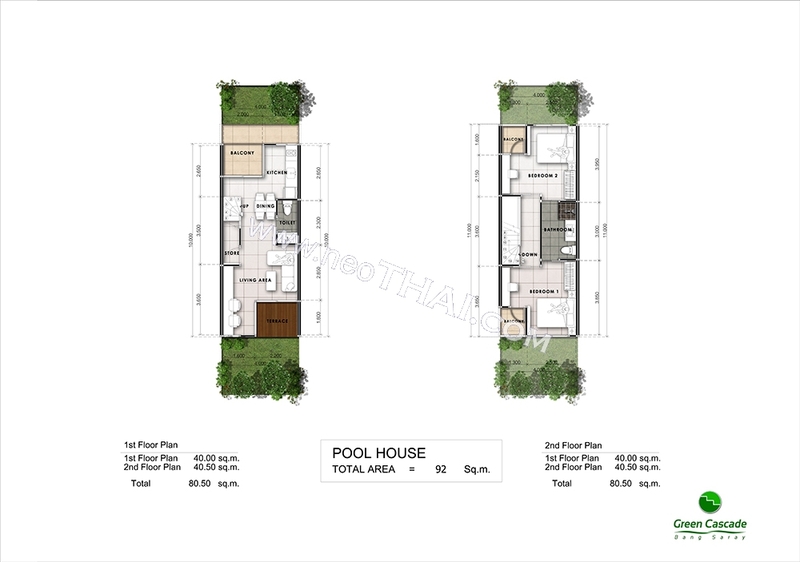 The condominium apartments are 35 sqm 1bedroom units, and 70 sqm two bedroom apartments. 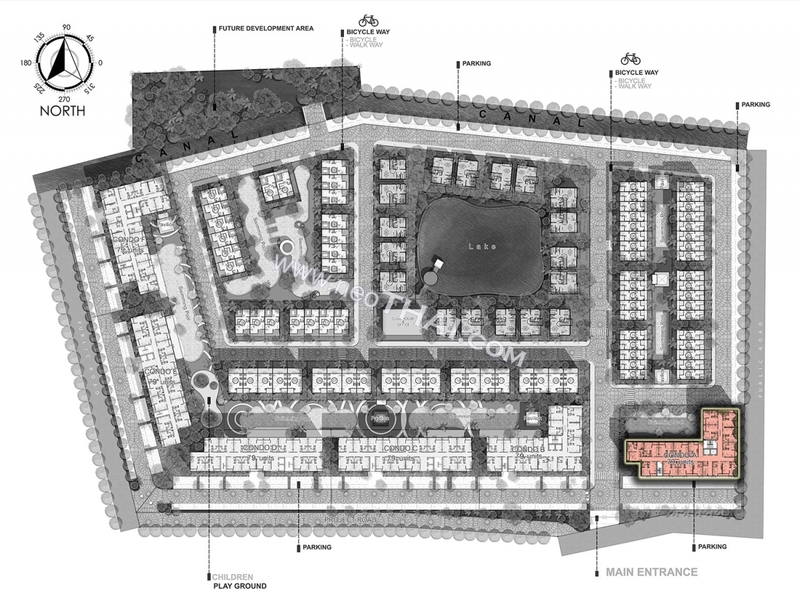 Each unit is carefully designed to maximize space and make the most of the stunning resort’s lake and pools, the sea and mountain views that surrounded the ‘Green Cascade’. Residents can enjoy the amazing views from inside and outside the resort. You can rest safe and secure with our 24-hour security system, secured parking and CCTV.